Isn’t it about time that you provided a decent current awareness service for your researchers? Awareness of, and access to, the very latest scholarly papers published in peer-reviewed journals is really important for most researchers. I know from looking at the statistics to this blog that many people are trying to find new scholarly research papers. Every day, people land on that post after searching in Google or elsewhere for terms such as: Latest research papers; new research; new scholarly articles; where to find new research findings – and every possible combination of those and similar search words. Many more don’t make it as far as that post, where they’ll find a list of 30 free websites that can help anyone find details of new scholarly research, and even when they go through my list they’ll have to make quite an effort to understand how some of those sites work and set up alerts, and so on. A growing number of companies, research centres and educational institutions are making it much, much easier for their researchers by setting up an effective, low-effort, low-cost, current awareness service using customisations of JournalTOCs. Whilst the main JournalTOCs website is freely available and allows anyone to use it to find the latest research papers, behind the free service is a powerful database which can be customised by companies and research centres at minimum cost to provide the sort of personalised current awareness service that becomes highly valued by researchers. The European University Institute, which offers one of the world’s largest doctoral and postdoctoral programmes in the social sciences, has implemented a JournalTOCs customisation, and this was recently described in the EUI Library Blog. The Vikram Sarabhai Space Centre (VSSC) in India is another centre which has implemented a low-cost customisation. Several pharmaceutical companies, health organisations and research centres have also taken out customisations. It takes a very short time to set up a free trial to this innovative service and there’s no commitment on your part and you won’t feel harassed with follow-up calls. JournalTOCs is confident that when you see the customisation in action, you’ll be convinced of its usefulness. I’ve described some of the features and benefits of the service in more detail in this post. It really is about time that you take some of the burden away from your researchers, and provide them with the sort of information that they really need. The customisations are based on JournalTOCs’ database of the latest Tables of Contents from nearly 21,000 scholarly journals from over 1,400 different publishers. Customisations allow personalisations, advances search and browse options of content from journals for which your institution has full-text access, saved articles, personalised email alerts for journals of interest, a Super-user facility to let librarians and information professionals support an institution’s researchers, and many more features. Even if you don’t want to go as far as providing a customisation, you may still find the following of interest and use. A YouTube presentation on JournalTOCs from Satakunta University of Applied Sciences. A guide to JournalTOCs from Georgia State University Library. A pdf guide to using JournalTOCs from the Frankk Curtis Library. A guide to RSS and Alerts from AUT University, which features JournalTOCs. Some information from the Software Sustainability Institute on JournalTOCs. University Technology information about JournalTOCs. Blog posts by Paul Stainthorp featuring JournalTOCs. Information about JournalTOCs API from the ProgrammableWeb. Cornell University Library’s guide to JournalTOCs. Search Engine Land feature on JournalTOCs. DIT Library blog post about JournalTOCs. LIS Kerala blog post about JournalTOCs. Loughborough University ad-lib post about JournalTOCs. Report on JournalTOCs by Gary Price. Last night we went to see Skyfall, the new Bond movie. Lindsey likes Bond movies. The sequences in Istanbul, Shanghai and London were good. The section filmed in Scotland seemed very clichéd. In 1986 whilst living in Zomba we took our cook and his wife to see a Bond movie in the local community hall, where they used to show films on some Saturdays. It was very basic, but entertaining. Sometimes they even got the reels in the correct order. It’s hard to realise how under-developed Malawi was in those days. There was no national TV, and satellite dishes were only for the extremely weathy. There were only a few TVs and VCRs in the whole country, and only a couple of proper filmhouses, in Blantyre and Lilongwe. Like the majority of Malawians, our cook’s wife had almost certainly never seen a TV, and had probably only seen a couple of basic films shown locally. And this is all in my own adult lifetime. Maybe that is one reason the villagers seemed so happy! Anyway, it was a birthday treat for the film trip, and afterwards we asked if Annie had enjoyed the Bond movie. Our cook explained that she had very much enjoyed it, but she was slightly confused. Why was that? Well, he said, she was not sure if it was all ‘real’ or not. Very sweet. Nowadays, of course, things have changed, especially communication advances due to the growing popularity of mobile phones and satellite TV. When we went on trips to villages on our Jinglamoto (motor bike), we were often surrounded by children who had never seen a white person before. JJ gave No Longer a couple of books to give to me to look through. 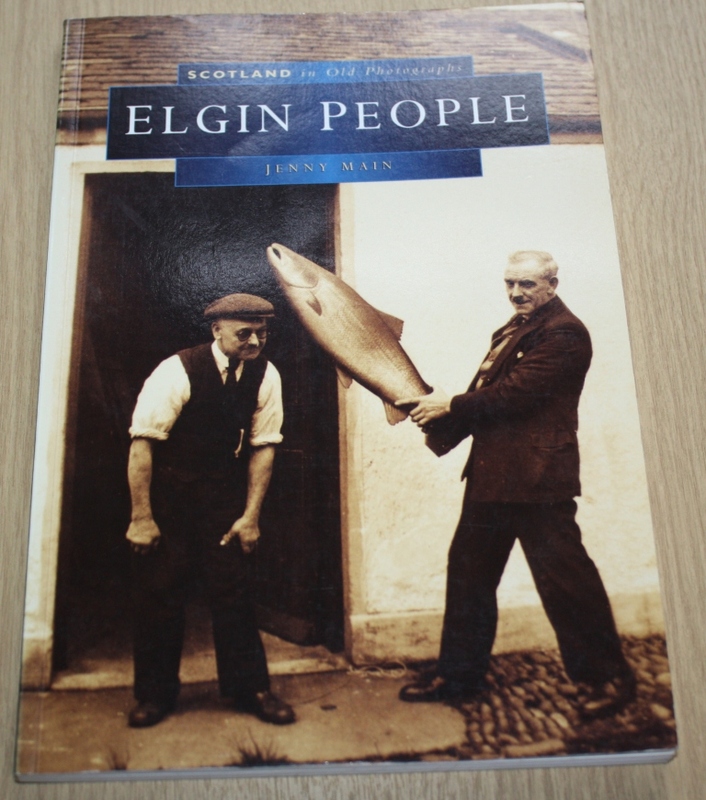 The first one is in the Scotland in Old Photographs series: Elgin People, by Jenny Main, published in 1998. There are lots of photographs of people in and around Elgin, from the early days of photography up to the 1970s or so. From these photos you can see how labor intensive everything was in the past, and how so many people worked the land. There’s a photo of the Moray & Nairn Joint County Council, taken in the 1960s, which includes JJ’s father, Dr J.D. Looking through the pictures made me feel old, especially when on page 28 I saw one which included a girl I got off with once at a dance in the Two Red Shoes in December 1971 or 72. 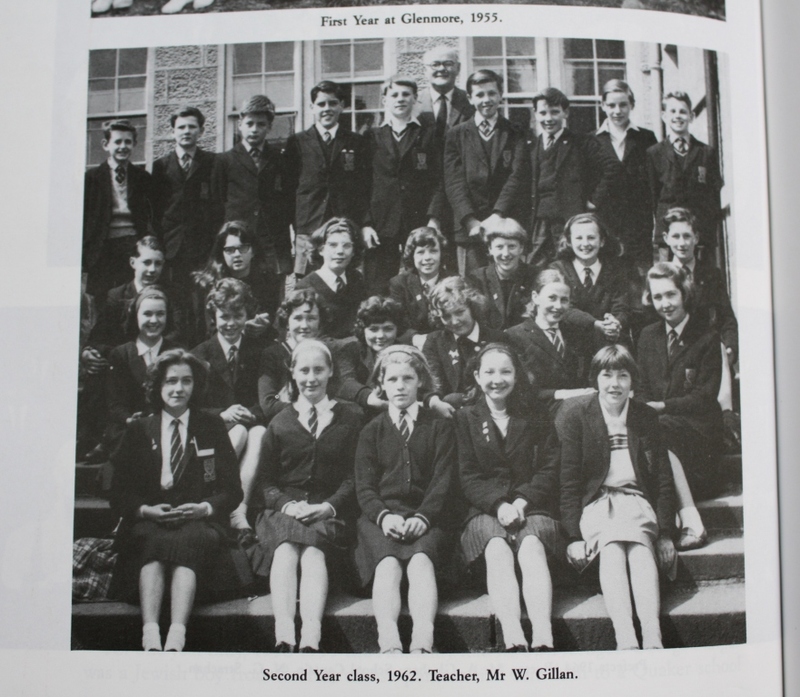 It features recollections of past times plus several old photographs of staff and pupils. This was the class that I joined a couple of years later. Some of the faces I recognise, and some of the names I remember are: Mike Stewart, Jimmy Macgregor, Robert Hepburn, Neil Harper, Derek King, Ann Macdonald, Florence Coull, Alison Beattie. Even checking through Friends Reunited, that’s all I can get. Maybe someone else can add some more names in a Comment. If I remember correctly, most of the people in the above photo were quite studious. I tended to associate more with those in the rugby team. There was one match we played after an epic party the night before in 1968 when the opposing team from Fochabers Academy made a formal complaint to the referee about the stink of booze coming from our front row in the scrums. I’ve added the following titles to JournalTOCs, the free current awareness service for researchers, students and lecturers. JournalTOCs now contains details of the latest Tables of Contents of over 20,700 scholarly journals, including over 4,800 Open Access journals, and is the largest freely available collection of scholarly journal Tables of Contents. After a prompt from Brian Kelly, who recently wrote a blog post Why You Should Do More Than Simply Claiming Your ORCID ID I added my details to ORCID (Open Researcher & Contributor ID). As Brian has written, it only takes 30 seconds to get an ORCID ID. It took me a bit longer to go through the list of my publications via the link to Scopus, and at one stage it seemed I was adding duplicates and then had to delete them, but the process was painless. My ORCID ID is 0000-0002-4833-1058 There seems to be a little confusion at that ID with some papers written by others in a book I co-edited. I’m not sure what to do with them. Niether am I sure why the papers are listed in the order that they appear. The list is not complete, as it only includes papers known to Scopus. I should probably add some of the other papers listed here, but the ORCID Add Manually process is fairly complex. I don’t have access to the subscription based Scopus service, so this is of limited use to me, and some of the links on that Scopus Author ID page are not available to me, though I can see that according to Scopus I have an h Index of 3, and: “This author has been cited 52 times in Scopus” – though most of those citations will be for a couple of papers to which my contribtion was small. Here’s something which explains the h Index. I also have a Google Scholar Profile, which states that my h Index is 8 and that my papers have been cited 188 times. The difference with the Scopus Author ID is presumably because Scholar knows about a lot more of my papers. At the top of my Scholar Profile is the message: Your profile doesn’t include a verified email and won’t appear in Google Scholar search. As I am retired and only have a Gmail account, it won’t let me change this. Brian Kelly writes about the many benefits of having an ORCID ID, and if you’ve authored paper(s) in scholarly publications I recommend that you read his post and follow his advice. I went for a couple of pints with No Longer Grim Jim and The Tall Thin One (TTTO), to a bar in Broughton Street. As seems usual nowadays, the first half hour was taken up with discussions of various ailments. I have none of those anymore. No Longer has recovered from his ones, and TTTO has recovered from his ones as well, except that he can’t yet play golf due to having had an argument with a pavement when out jogging, which damaged his wrist. Jeremy Clarkson wrote about a pub game in The Sunday Times last week. The game involves someone in a group making a true statement about themselves, and if the others in the group can’t also truthfully say the same thing, then they have to pay the first person a Pound, or whatever. We didn’t play this game, because if we had, No Longer would have won a fortune. For example, he could say something like “I haven’t been on holiday for 30 years” and it’s unlikely that many others could say the same thing. No Longer could also truthfully say “I have never drunk a glass of red wine”. This would also almost certainly be a winner. No Longer is very dogmatic. He knows what he likes, and knows what he doesn’t like, and there is nothing in between. He likes golf, cars, watching football, occasional pints of beer, his work (now that he is no longer a teacher), sports quizzes, the SNP, Natalie Portman, running…and…well, that’s about it. He doesn’t like anything else, and usually refuses to try anything else. He tried a glass of white wine in 1974 and din’t really like it, so he never tried it again, and has never sampled red wine. He went on holiday in 1977 and didn’t really enjoy it, so he hasn’t been on another one since. One really good statement he can make, which would win him a Pound in the truth game, and which I asked him about, is that he’s never had a fresh vegetable in his flat. He doesn’t like fresh vegetables! He lives off processed food. I asked him whether he’d ever had any fresh fruit in his flat. At first he said no, then he remembered that after one road race he’d been given a tangerine, and he’d taken it home and had actually quite enjoyed it, but not enough to ever try another one. 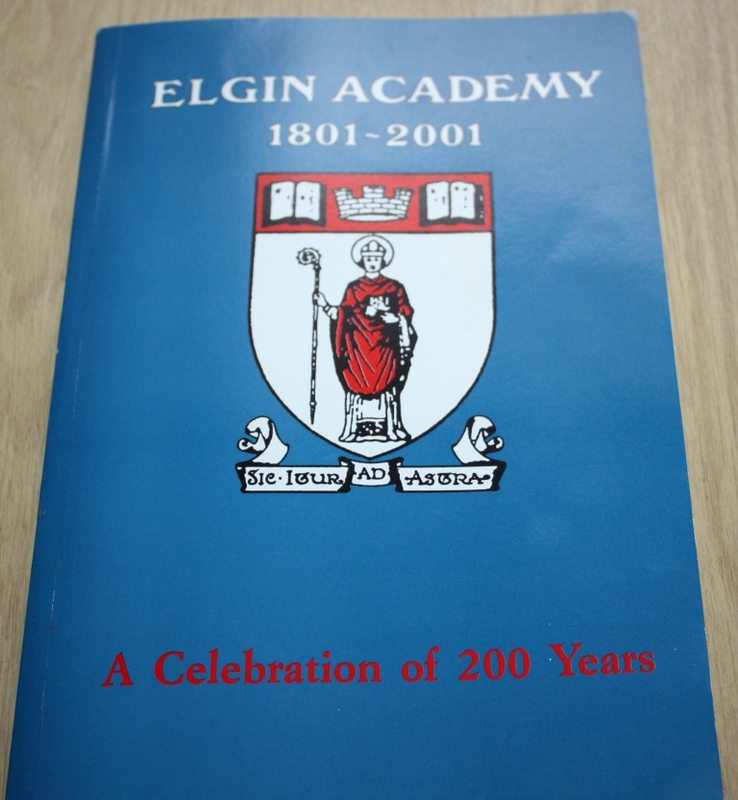 No Longer passed me a book from JJ, who is also thankfully in better health than when I last reported, about 200 years of Elgin Academy. I’m not mentioned in it, but there are several photos of pupils, and one of them taken in 1962, which was before I attended that school, includes No Longer and others in the class that I joined in 1964. When my printer/scanner is fixed I’ll post it. I recognise some of the faces – Dexy, Tinky, Ann, Flossy, Titch, Neil, Heppy. TTTO, who is usually correct, reckons that good sense will probably eventually shine through, and that if Labour look as if they will do well in the next General Election, folk will vote ‘No’ when faced with the loaded question of whether they agree that Scotland should be an independent country. Last week, when I wasn’t feeling well due to a gum infection, I read Scorpion on the Ceiling, by Roddy Martine, which Santy, my Technical Manager, recommended. Santy was born in Peru, his Mum lives in Spain, he studied in Belgium and married a French woman, so I’m not sure what his interest was in Scorpion on the Ceiling, which is about life in Singapore, Penang and Sarawak in the 1930s and 40s, but I’m glad that he told me about it, and I can now recommend it to others. I didn’t know much about Sarawak, or about the part Singapore played in WWII, but Martine gives a very readable account of those times, related through the experiences of his parents who were based there. A lot of effort was put into making Singapore defendable just before the War. It was stocked up with armaments, fuel, and soldiers. A causeway was built to the mainland. Then when Japanese invaded the mainland further north, most of these armaments were destroyed and the fuel dumps were blown up so as not to fall into enemy hands, and the causeway was breached. When Singapore fell to the Japanese, the soldiers were then put to work to repair the causeway and rebuild the fuel dumps. Looked at it that way – what a complete waste of effort! Some of the civilians in Singapore were able to make their escape before the Japanese arrived, but many were killed or captured and the same hapened in the islands further south. Martine’s mother walked through the jungle from Sarawak and eventually made it to Australia, whilst his father ended up in Changi Jail for some time. Here are some other books by Roddy Martine.